Choose Windows Embedded Standard to enable advanced enterprise devices to run thousands of existing Windows applications and drivers. Experience a rich set of componentized embedded OS technologies. Specific embedded enabling features allow you to tailor the OS to your device. With Windows Embedded Standard, you can optimize the size of the OS footprint on your device because you can select just the drivers, services, and applications you need. Need more info? Talk to our Online Rep! 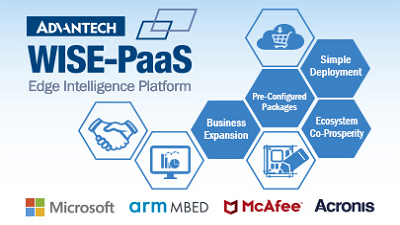 Your online software store featuring Advantech&rsquo;s most exclusive software services- IoT cloud services integrated with Microsoft and ARM mbed, IoT security services powered by Intel Security and Acronis, ready-to-order WISE-PaaS IoT software services, and solution packages pre-packaged into Advantech Edge Intelligence Servers (EIS).